WASHINGTON – Congressman Greg Gianforte and a bipartisan group of lawmakers introduced legislation today to honor Cadet Nurses who served during World War II. The bill distinguishes Cadet Nurses as honorary veterans and provides them burial privileges. 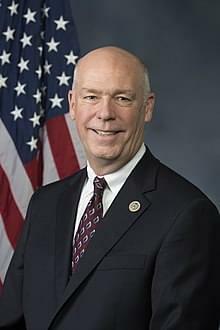 Gianforte introduced the bill with Representatives Cheri Bustos (D-Ill.), Cindy Axne (D-Iowa), and Troy Balderson (R-Ohio). Congress established the U.S. Cadet Nurse Corps in 1943 in response to a shortage of nurses. Organizations such as the American Nurses Association, the American Association of Colleges of Nursing, the Veterans of Foreign Wars, and the American Organization of Nurse Executives support the legislation.